Edited by Claire E. Wolfteich (Paulist, 2015). $29.95. Paulist Press put this wonderful collection together to help Catholics explore something we are all immersed in but hardly ever systematically think about-Practical Theology. As one essay points out, another word for this is “pastoral theology,” language we are perhaps more used to as Catholics. The idea of “practical” however, is to emphasize the “practice” part of what we do – the skills, learnings, insights, and teachable behaviors that are so much a part of all religious life. The subtitle–Catholic Voices and Visions–aptly describes the collection. Even though there is an overall order to the book, it’s the quality and variety of the voices that are striking. Some authors come at this from the point of method, some from theology, some from statistical insight, some from spirituality. While this does not provide a very cohesive set of ideas, it does show the importance of this “practical” perspective in what most of us are doing in our parishes and various ministries. 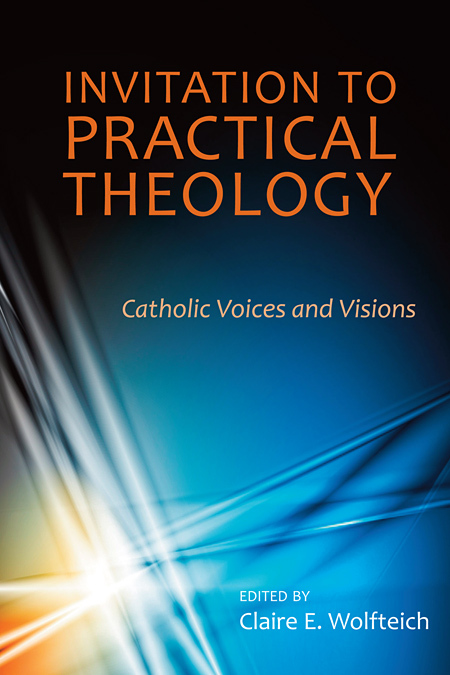 One of the purposes of the book seemed to be to help theoretical theology – which is almost exclusively how we think of theology, and almost exclusively how our clergy and deacons are trained-recognize that there’s a whole world of actual Catholic practice that should be the fertile matrix from which theology happens. Certainly what we see from our catechumenal ministries, spiritual direction, guidance in the sacrament of Reconciliation, ministry to the sick and homebound, bereavement ministry-certainly this and so much more provide plenty of material for serious reflection. And the broad ministry of evangelization, from initial kerygma to reconciling Catholics, has much to offer theological reflection. This great collection of essays can spur us pastors and ministers to more careful, and reflective, execution of our ministry and raise questions about increasing our competence. One of the ways I thought of this book was this: we have a lot of people getting degrees in ministry, but they don’t populate our theology departments very often. Maybe it’s time for an interchange between the Doctors of Ministry and the Doctors of Philosophy/Theology to mix it up a bit more.